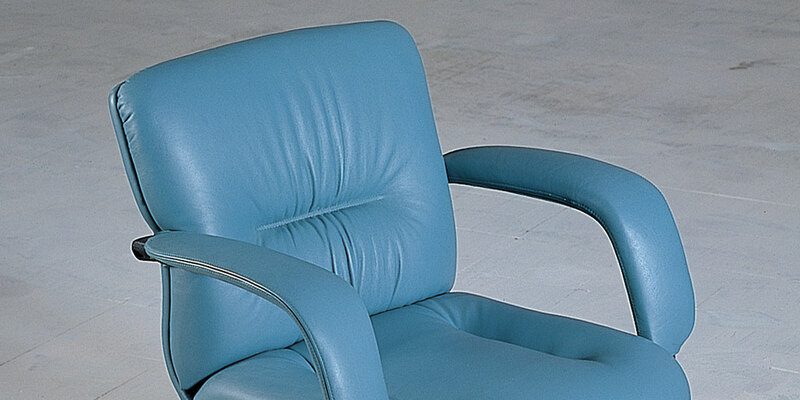 Executive office chair on pivoted casters. A lever activates a gas cylinder for adjustable height. 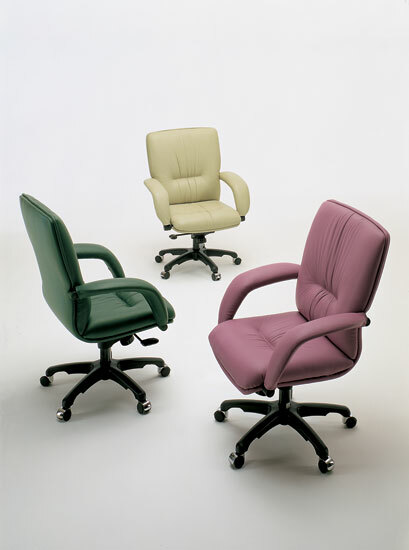 Available in low back version with or without arms, or with high back with arms.